In February and March, the U.S. Coast Guard caught only 49 Cubans in the waters off the Florida coast. In 2016, the number was 407. Only 86 Cuban nationals sought asylum by coming to ports of entry at the U.S.-Mexico Border, Reuters reported. “Dry foot” asylum seekers numbered 11,892 during the same time in 2016. Comparing this same period, the arrival rate dropped by 99 percent. These numbers are quite startling given claims by Cuban-American representatives in the U.S. Congress who charge that Obama’s policy has created more violence and repression by the Cuban government against pro-democracy supporters. Breitbart News reported in March that President Barack Obama’s halt on January 12 the policy of allowing Cuban migrants to receive asylum had restrained them from making the deadly journey. Contrast these numbers with those between 2014 and that date. 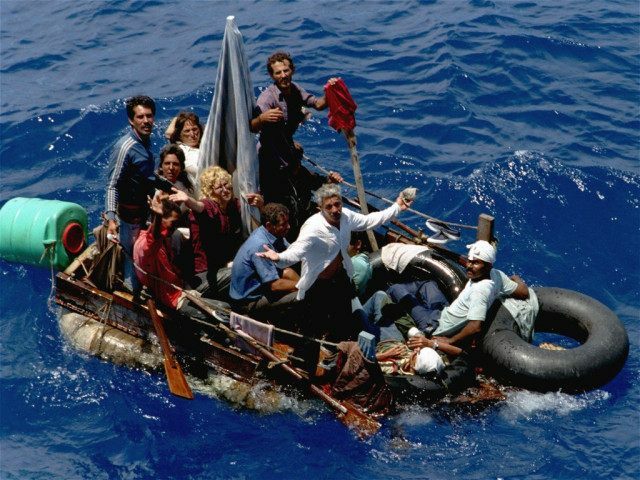 As reported, the number of Cubans fleeing the communist country increased dramatically during that period because of President Obama’s “normalization” of this policy with the Castro regime. Following Obama’s normalization announcement, thousands of Cubans began a migration from Cuba to Central America and on to Mexico before entering the U.S. to obtain asylum before the policy ended, Breitbart Texas reported in February 2016. Jose Enrique Manresa told the BBC, “Obama, because he is leaving, suddenly takes up the idea of repealing a law that has been enforced for many years and has favored many Cubans. I think he got angry with the Cubans — it is a reprisal,” reported Breitbart News. Some Cubans think Obama’s reversal of the policy was revenge for Cuban-Americans’ support of Donald Trump during the presidential election. A New York Times Upshot/Siena poll of Florida before the election showed that support for the Republican candidate by Cuban-Americans jumped 19 points in one month. The repeal of the policy, supported by some, stranded hundreds of Cubans in South and Central America the day after the repeal of the policy, reported Breitbart News. At least 100,000 Cubans traveled the thousands of miles to America from these countries since 2012. The Mexican government also confirmed on January 21 that it was already set to deport 91 Cuban migrants who were trying to get into the U.S. Currently, migrants from the Dominican Republic account for the largest number of those seized by the Coast Guard off the coast of Florida.